The output of LED lights has been doubling nearly every year since the 1960’s – today’s LED lights produce more than 300 lumens per watt. Isamu Akasaki and Hiroshi Amano won the Nobel Prize in 2014 for their invention of blue LED in the 1990s, finally enabling LEDs to produce white light we use today. As the competitive LED lighting market continues to evolve at a rapid pace, the reliability of phosphors over time is a critical building block in making technical and operational progress. CSA Group offers some of the most advanced testing protocols for LED phosphors in the world, even creating our own tests and equipment where we see opportunities to serve you. We also have a robust High Irradiance Stress Testing program to ensure the safety and longevity of your LED luminaires. We can use our phosphor and high irradiance stress testing to evaluate your next product prototype or contribute to the development of your next breakthrough product. As the global leader in LED testing, we invented a phosphor testing protocol that’s entirely independent of the LED – so our clients can create the best LED lighting products. 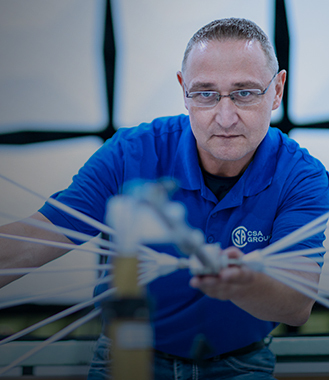 We apply that type of innovation and passion to every service we offer. High-Irradiance Stress Testing is useful to manufacturers of SSL lighting components, including plastic lensing, phosphors, automotive, adhesives, and reflectors. CSA Group’s protocol utilizes our Elevated Temperature Irradiance Chamber (ETIC) to evaluate the deterioration of plastic samples and phosphors exposed to blue light irradiance and elevated temperatures. You can also request alternate wavelengths for custom test conditions. We stress the samples to a maximum common irradiance across the chamber of approximately 150,000 W/m2 and can set the test at 100-hour increments. 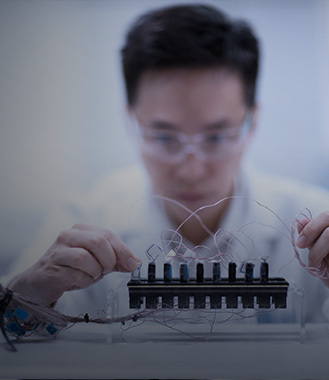 We offer an array of testing and measurement services to ensure your LED products are of the highest quality and ready for market entry in the most efficient time frame possible. A rapidly growing opportunity for LED manufacturers is in the farming industry – specifically horticultural lighting. Standards and testing can help address challenges to widespread implementation of LEDs in the horticultural market. Explore key standards in the LED testing that help get your products to market. 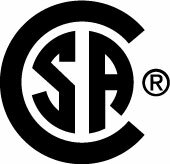 With expertise in everything from ENERGY STAR to LM-79 to photobiology to high irradiance longevity, CSA Group is the world expert in LED standards and certification. Get your LED products tested, inspected, and certified for compliance, reliability, and global market access.